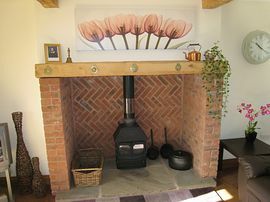 Measure Cottage is located in a quaint little village called 'Wootton Wawen' and sleeps 2 to 6 people. It is approximately 5 miles from the centre of Stratford-upon-Avon and one mile from the 16th century high street of Henley-in-Arden. 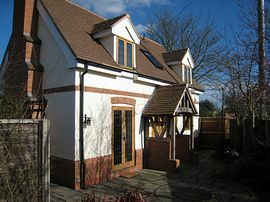 Measure Cottage is a beautiful detached luxury self-catering accommodation. There is a private garden complete with patio furniture. On the ground floor the entrance hallway leads to a spacious large living room with traditional inglenook fire place. The kitchen area has modern fully fitted units and ceramic floor throughout, with a dining area. The hallway has traditional wooden doors and solid wooden floors leading out to an enclosed garden. There is a ground floor toilet, downstairs cupboard which has a security safe for your use. 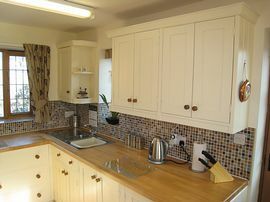 Measure Cottage comes complete with TV, DVD/CD, electric hob & oven, crockery, cutlery & utensils. Dishwasher, washing machine, tumble dryer, microwave, fridge, freezer, toaster, vacuum, iron & ironing board. Cots & high chairs are free of charge. 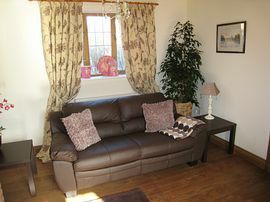 Hot water, electric & electric central heating plus duvets with linen & towels are also provided. Shop 1 mile. Pub 1 mile. 2 Bedrooms, Lounge, Kitchen, Bathroom, Shower, Patio, Parking. 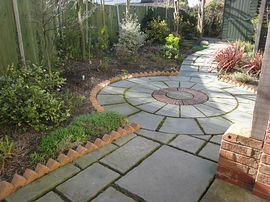 2 Bedrooms, Lounge, Kitchen, Bathroom, Lovely gardens, Parking. Also, now available, a large Country House, close to Henley in Arden and Stratford Upon Avon that will sleep up to 33 people or smaller numbers if required. Please see our main website for details. From the M40 take Junction 16 signposted - Henley-in-Arden, Go right at the round-about and continue to Henley-in-Arden. Pass through the village and continue along the A3400, towards Wooten Wawen, Stratford-Upon-Avon. Pass the Car Sales garage on the right-hand side called Henley 4 x 4. Immediately on the right after the garage there is a turn to the right sign-posted 'Ullenhall'. Turn here. You are now in Mayswood Road, drive a very short distance on the left you will see a red post box. Turn left into 'The Square', Measure Cottage is the cream detached cottage on your right hand-side. You have arrived at your holiday destination. Parking for Measure Cottage - one parking space in front of Measure Cottage. Parking is allowed along side of the cottage and there is a private residents parking facility at the rear of the cottage. Please note you can enter Mayswood Road from either end. You must take the entrance off the Stratford Road (A3400) to follow the above directions. When you are on the Stratford Road if you see the Wooton Wawen large Saxon church up on the hill you have missed the turning!!! Travelling from Junction 15 of the M40, take the A46 towards Stratford- upon-Avon. Continue along the A46. At round-about take the second exit; continue on the A46 until the large round-about. Take the fourth exit onto the A3400 sign posted towards Henley-in-Arden and Mary Arden's House. Stay on the A3400. Go past the Mini Car Dealer and the Dun Cow pub/restaurant on the right-hand side. Continue on the road, on the left you will pass the Golden Cross pub. Follow the road you will pass a Car Valet (called AutoVal) and a pub called the Navigation Inn on the right-hand side. Stay on the main road pass through Wooton Wawen village. There is a large Saxon church up on the hill. Continue around the bend on the main road. Slow down, there is a sign post to the left for 'Ullenhall'. Turn left here before the Henley 4x4 Car garage. Juliet, Hamlet, Measure, Macbeth and Falstaff can be booked for anything from 2 nights to several weeks.